Louisiana requires students to attend school for a certain number of days to be promoted to the next grade and earn credit for a course. Under the law, students must attend school from age 7-18 or until they graduate from high school. Students are required to attend school regularly and must attend at least 167 days to earn credit and be eligible for promotion to the next grade. Exempted and Excused: The student is allowed to make up the missed work and the absence is not counted against the attendance requirement. Examples are extended illness documented by a doctor or to celebrate religious holidays. There is no limit to these absences. Non-exempted and Excused: The student is allowed to make up the missed work but the absence is counted against the attendance requirement. An example is personal or family illness documented by a parent’s note. The number of non-exempt and excused absences is based on the number of school days offered. Schools are required to offer 177 days of school, which means a student can be absent ten days. If more school days are offered, then the number of absences also increases. Unexcused: The student is not allowed to make up the missed work and the absence is counted against the attendance requirement. An example is skipping school. Suspensions: The student is allowed to make up the missed work but the absence is counted against the attendance requirement. Tardiness is not counted against the attendance requirement. School districts may have their own policy on tardiness. 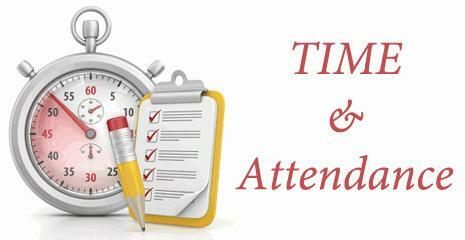 Students must be in attendance at least 167 days in order to pass the course or grade and earn credit. Some school districts offer makeup classes that allow students to make up missed instructional time. If a student has an excessive number of non-exempted absences, parents, and legal guardians may make a formal appeal in accordance with the due process procedures established by the local school district or independent charter school. If a school district grants a waiver of the attendance requirement because of extenuating circumstances, students are eligible to make up missed work, receive grades and earn credit as long as they complete the missed work and pass the course. Under the Child Performer Trust Act, employers must provide tutors to students who are working for them in an artistic setting, such as an actor in a play or movie. If a student will be absent for more than one day within a month, the law requires the employer to provide a certified teacher on the second day of employment to provide three hours of instruction daily. If multiple students are hired, employers must provide one certified teacher for every ten students. The Vernon Parish School System is committed to educating and preparing every student for the challenge of tomorrow's world.